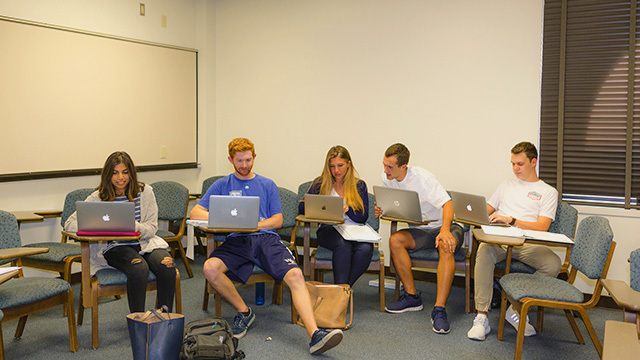 At USD, entrepreneurship is far from a buzzword—it's a way of life. Nearly 77 percent of sophomores, juniors and seniors have thought about starting their own business. And with demand rising for more innovative and creative business solutions, there's no better place to get your start on changing the world than here. It's our dream to one day launch the Global Institute for Social Innovation and Entrepreneurship. Our goal is to develop the entrepreneurial spirit within each student—and to equip each one with the knowledge and resources to solve today's most pressing local and global needs. So that you can move beyond "what if"—and achieve "what's next." 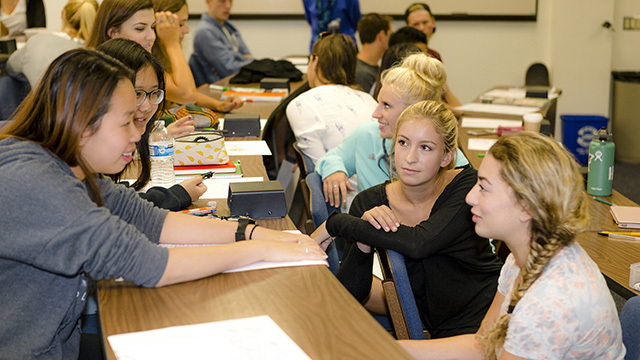 With extensive experience in startups, consulting Fortune 500 corporations, coaching executives and contributions to the Entrepreneurship Theory and Practice academic journal, our School of Business faculty are ready to mentor and inspire budding business owners—and to share best practices with seasoned members of the San Diego business community. Begin quote Nearly 77 percent of USD sophomores, juniors and seniors have thought about starting their own business. Top three for entrepreneurship. In 2015, the School of Business ranked third in the world for MBA programs in entrepreneurship by the Financial Times based on the percentage of graduates who created their own company, the percentage of companies still operating at the end of 2014, whether it was their main source of income and how the school and the alumni network helped set things up. Research powerhouse. Forbes ranked the University of San Diego 48th in America's most entrepreneurial research universities. See more USD School of Business rankings.